Often, co-workers who have had similar experiences can provide support and referral assistance through peer support, improving the lives of their peers and helping them towards recovery, empowerment, and hope. 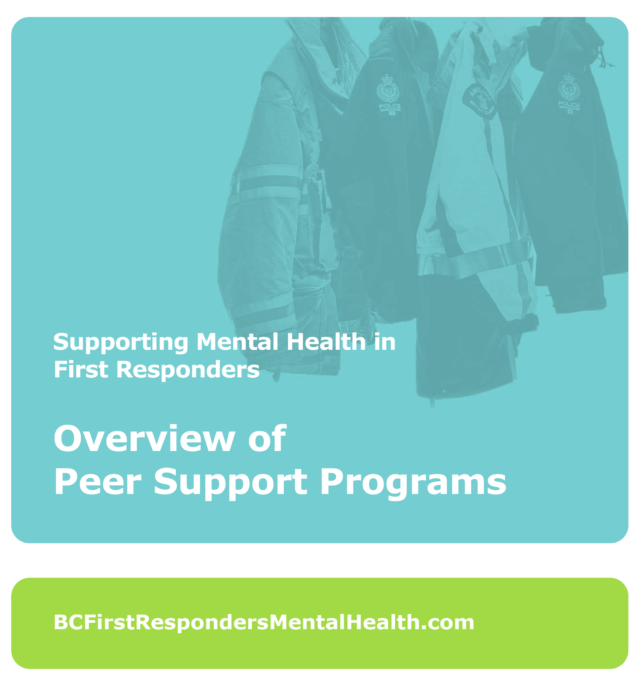 Peer support may also reduce the use of formal mental health, medical, and social services, which can reduce the cost of a first responder’s recovery. Increasingly, first responder organizations are embracing peer support. In its best form, it operates with autonomy and entrusts support workers to make judgments and decisions. Because peer support work can be exhausting and emotionally challenging, care must be taken to ensure that those involved in it have ongoing training and formalized support to prevent burnout and injury.